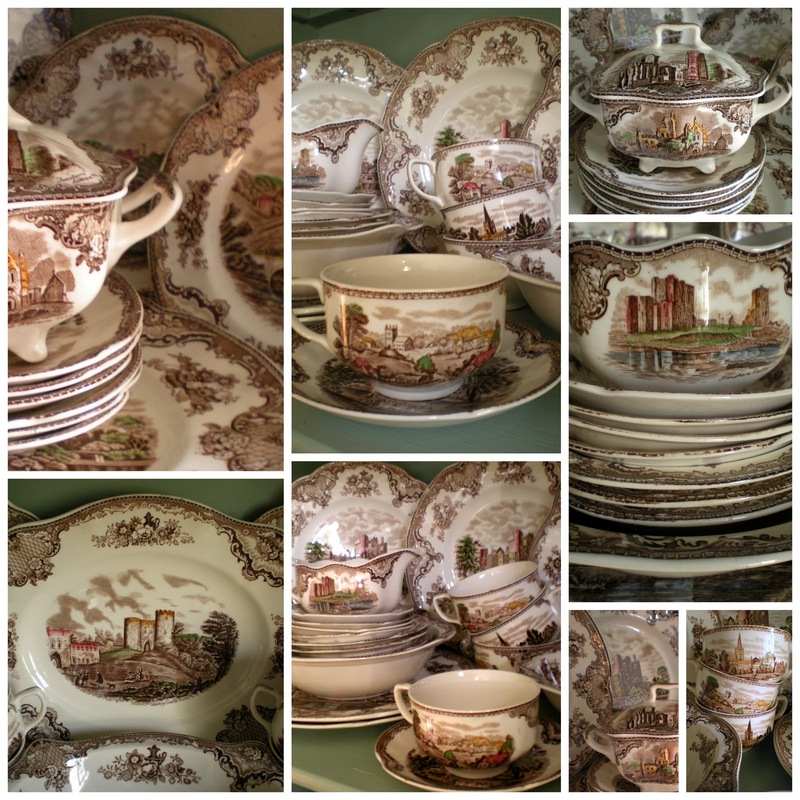 Here is my collection of Johnson Brothers Old Britain Castles in Brown Multi. This has been one of my favorite china patterns (if not my favorite) for a very long time. Because of the cost associated with it, I had never acquired any until recently. I happened to find this one day at the Goodwill. Lucky me! All together, it cost about $35.00! While Old Britain Castles experienced the height of its popularity in the 1950's, it has been produced since the early 1900's. The brown multicolored version was actually discontinued in the mid 1930's. Old Britain Castles was produced in Red, Blue, Black, Green, Pink, and Lavender. Production was short lived because the transfer had to be applied to each piece by machine, then all the color was hand painted before being glazed. Because of this, each piece is unique. Sadly, Johnson Brothers was bought out and is now produced in China under the same names. Old Britain Castles is still (re)produced in Pink and is widely available at many department stores. There is also a Christmas variation produced in pink and green featuring Christmas trees and Santa Clause. The Johnson Brothers were the grandsons of James Meakin, of Meakin china fame. They wanted to produce a durable and affordable product that looked good, too. They came up with what they called White Granite--it had all the durability of traditional English Ironstone with the lightweight and delicate qualities of fine porcelain. This was created for and marketed as every-day china, not the fine china aura we give it these days. 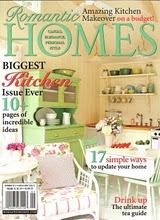 Just imagine, in 75-100 years our decedents will be arguing over who gets to keep our Gibson or Corel or Corningware! That almost seems laughable, but it is exactly what we do when we go gaga over this or Depression era glass! Even saying that, I have an ever growing collection of Pink depression glass--I don't care what pattern--I love to mix and match. I also have quite a few pieces of Manhattan in clear. I have service for six, plus cups and saucers for 8, several serving pieces, creamer, sugar, and a platter. I hope to keep adding to this collection over the years. More Spring Decor coming soon! Check back in a few days--if you haven't already, I'd love for you to become a follower, also if you are new here, there is much more blog than this post--click on "older posts" or "newer posts" at the bottom of the page --or-- click on the Shabby French Cottage header at the top of the page to take you to the main page of my Blog! Until next time.